Motorola is expected to be taking the wraps off its new G7 lineup next month at MWC 2019. 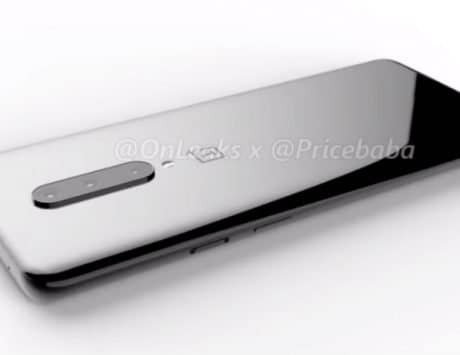 However, as is the case with most launches, there have been a bunch of leaks and revelations ahead of the event. 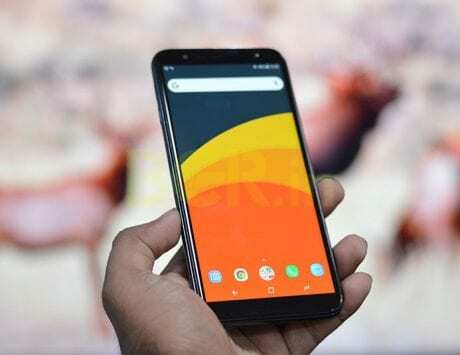 The company is widely expected to be introducing the Moto G7, Moto G7 Play, and Moto G7 Plus smartphones at the expo. 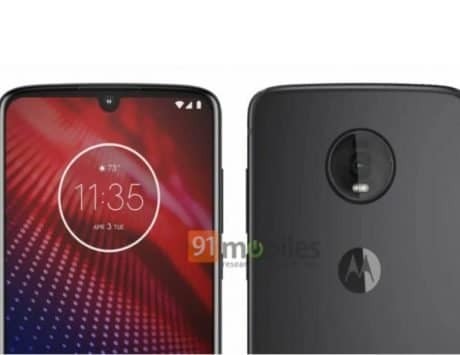 In the latest addition to the trove of leaks is the Moto G7 benchmark scores, which showed up on the web today. In its Geekbench listing, the Moto G7 achieved a single-core test score of 1,260 and 4,759 in multi-core test. In addition to the test scores, the benchmark listing also throws light on other specifications of the smartphone. 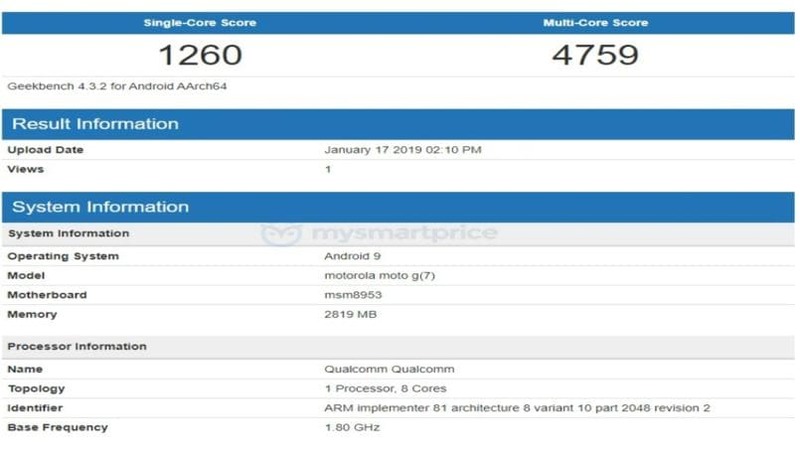 Based on the listing, the Moto G7 will be powered by Qualcomm octa-core Snapdragon 660 SoC, paired with 3GB of RAM and runs Android 9.0 Pie operating system. The Moto G7 is expected to be powered by a Qualcomm Snapdragon 660 chipset. 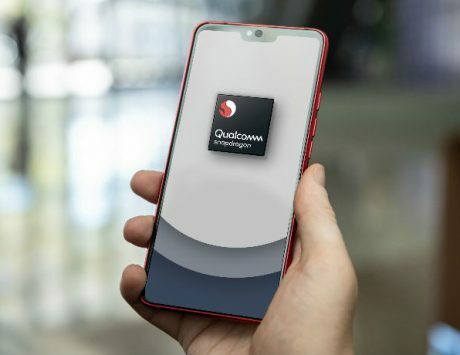 The smartphone had previously been spotted at FCC last year with a Qualcomm Snapdragon 660 AIE octa-core processor under the hood. 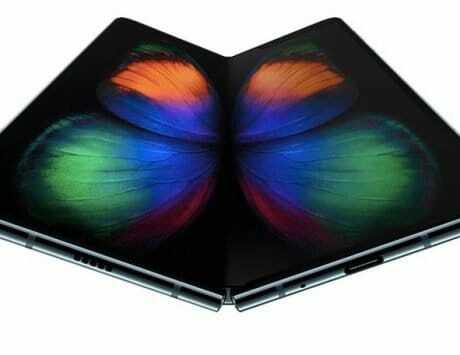 The smartphone will also come in 4GB RAM variant and offer 64GB internal storage. 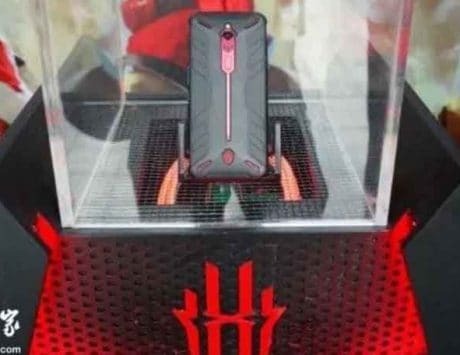 So far, the rumors surrounding the phone tip the Moto G7 to feature an edge-to-edge 6.4-inch display with a waterdrop style notch, a 3,500mAh battery, and a dual camera setup at the back comprising of a 12-megapixel primary sensor paired with a 5-megapixel depth sensor. Up front, a 16-megapixel selfie snapper is likely to be in tow. 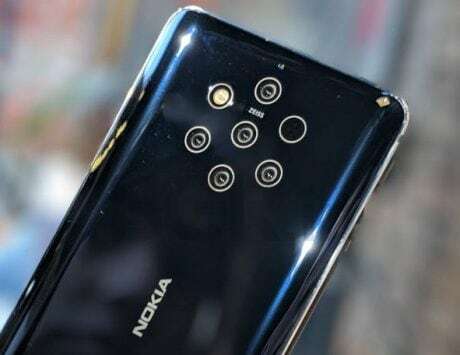 Lastly, the smartphone could run Android 9 Pie OS out-of-the-box when it launches. The previous listing also hints at wireless charging support for the Moto G7. 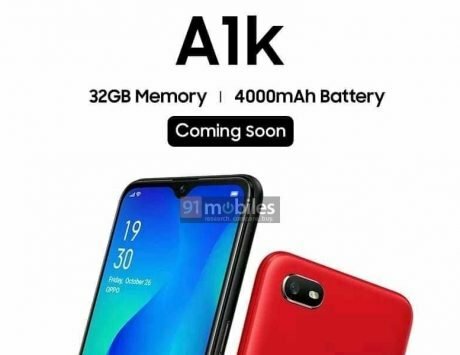 Considering the fact that the G-series smartphones are generally priced under Rs 20,000 bracket, wireless charging will be a good addition, something that even the flagship Asus Zenfone 5Z and OnePlus 6/6T don’t feature.